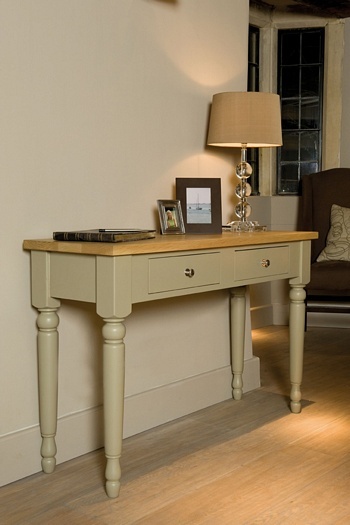 The traditional ball back design looks beautiful on our Suffolk Console Table. The solid oak top and beautifully carved, hand painted legs that taper to a fine point give the table a solidity and a delicate elegance. The drawers offer practical storage space making it the perfect piece for your hallway, living room or dining room.